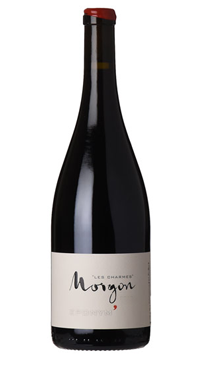 The grapes for this organic wine come from 50 year old vines growing on a small 1.5 hectare lieu-dit Les Charmes. This site is the highest altitude lieu-dit in the appellation with soil composed of schist, granite and manganese. Fermentation is traditional whole cluster with ripe stems and all in order to increase the level of skin contact and create a “fuller” style of wine (not to be confused with “whole berry” fermentation, aka carbonic maceration). Fermentation lasts 3-4 weeks and the wine is aged for 6-9 months in used oak barrels.